In the UK, an estimated 12 million households own together around 51 million pets. Recent research carried out by Zoopla discovered that there’s a growing trend in the search for “pet-friendly” rental property. The term ‘pets’ ranked as the third most searched keyword in the latest analysis of the nation’s most sought-after features for rental homes. The ownership of pets is increasing and could represent great opportunities for landlords to invest in line with this growing trend. As for the reasons landlords refuse pets in their property, 57% cited the smell, 55% are concerned about pets causing potential damage to the property and 37% admitted concern over whether the pet was properly trained. Oddly enough, 88% of pet owners claim they have never experienced any complaints or even caused damage to the property, in contrast to the concerns of landlords. Despite landlords’ reservations, there are benefits of allowing pets in rented properties. One of the benefits being the possibility of having a larger potential tenant pool. Having a larger group to choose from allows the landlord to pick the best-suited tenants for their property. 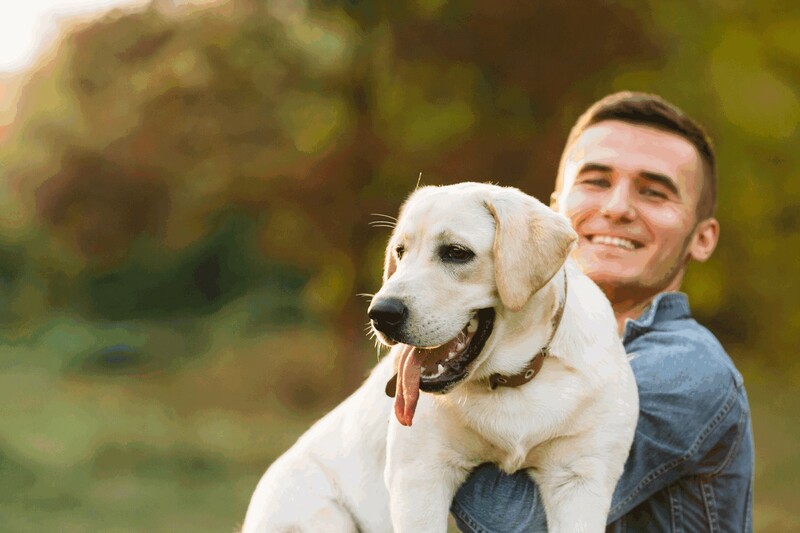 Due to the difficulty in finding other pet-friendly rental housing motivates pet owners to rent for longer in the same location, which can reduce void periods and therefore give landlords a better return on their investment. The biggest benefit for landlords is money related. The increase in demand gives landlords stronger bargaining power to charge higher rent. Especially when there are few pet-friendly properties around the area. Some surveys have shown pet owners to have a higher income than average , meaning they may be willing to spend more when the property suits their demands. Pet owners are often mature and take good care of their pet showing their responsibility, a desirable quality for property owners when accepting tenants. Likely these potential tenants will treat the property with care and with respect. One can argue the social and ethical benefits of allowing pets in properties. Having pets around can have a positive effect on the physical and mental wellbeing of tenants, they can reduce stress and make the owner feel happier. By allowing animals in a property, owners don’t have to sneak in their pets which can result in unwanted conflict between landlord and tenant. As mentioned before, landlords have multiple reasons why they don’t allow pets, the biggest concern being pet odours. There are ways to decrease or limit odours, including using a professional cleaning firm at the end of a tenancy. However, well trained pets and responsible owners shouldn’t have a problem with pet associated smells. The potential damage to a property; chewed up carpets and furniture, scratches on the floor and doors and even noise disturbance, are concerns for landlords. Again, properly trained animals with sensible owners are unlikely to display this type of behaviour. Some pets even copy the character of their owner and often won’t miss behave if their owner respects the property. Some landlords admit concern about the risk of animal liability, particularly biting and other aggressive behaviour when improperly trained. This is a reasonable concern but with good communication and by asking the right questions about a potential owners’ pets, a landlord can gain a better impression of the animal and whether the tenant and their pet(s) are right for the property. When it comes to HMO properties and house shares, there is always the possibility of losing other tenants when allowing pets into a property. Some tenants may have allergies relating to certain animals or have other personal reasons for not wanting to live with a pet. In order to lower the possibility of losing current tenants, a landlord should make clear to all tenants at the beginning of a tenancy, even those without a pet, if a property is pet-friendly or not. Whilst the issue around pet-friendly rental property continues to be one that is hotly debated, at Mistoria we believe in keeping a track of current property market trends and feeding this back to our landlords. Pet-friendly rentals are an area we are often asked about and is something we are advising our landlords on. There will always be landlords that do not wish to allow animals in their property and this is something we fully respect. For those who are more lenient, we hope to work with them to find a happy-medium and a way for us to work together to find and manage suitable tenancies involving pet ownership. At Mistoria Estate Agents we’re an open-minded, professional team who work hard to build good relationships with both the landlords and tenants we serve. We’re keen to educate both sides on sensible property management and work with all concerned to deliver successful and long-term tenancies. If you own a rental property and would like help with tenant sourcing and management please get in touch. Similarly, if you’re a tenant searching for a particular type of rental property to meet your needs, please contact us. Call 0800 500 3015 or email info@mistoria.co.uk.